The type of footwear you choose can often be a fantastic indication of the type of style you embody, and if you happen to enjoy portraying an edgy and rocker look, then these chic punk rock shoes will definitely have you craving every single pair. There's something quite alluring about being in a punk rock band, whether it's that rock star image or bad boy persona, fans all over the globe are constantly trying to replicate that iconic image. That's why these chic punk rock shoes are perfectly suited for anyone interested in showcasing a bit of their rocker style. 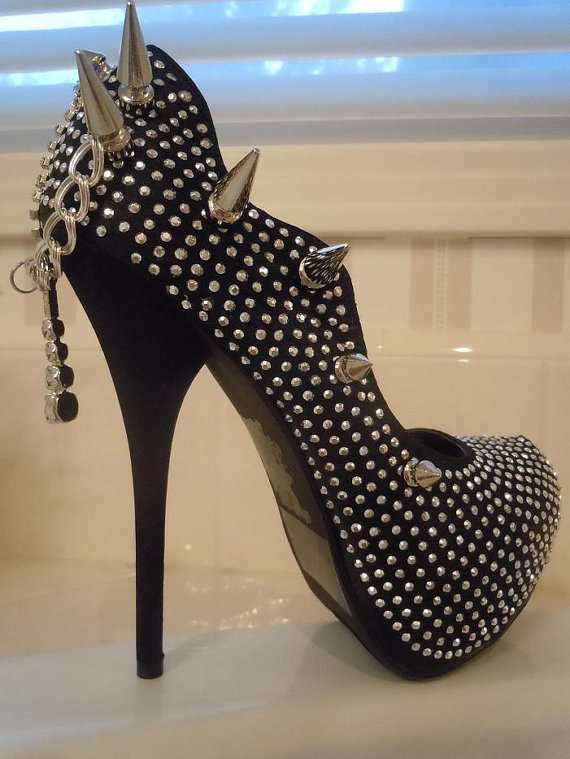 Featuring all sorts of edgy aspects such as studded designs, spikes, buckles and sleek leather material, these chic shoes will definitely have you feeling like a rock star in no time.